The Texas Hill Country experienced severe drought conditions in 2011 and we are not out of the woods. As a community, we have to pay attention to how we manage our water supply for future generations. Droughts will continue and the serious effects of drought are compounded by increased water use, water permitting policy, population growth, climate, land-use and land stewardship practices. Current drought conditions are updated daily by region on the Texas Water Development Board website. Here you will also find links to national drought index links such as the Palmer Severity Index and the US Drought Monitor. Groundwater Districts across the region are updating restrictions and local water utilities are implementing drought management plans regularly. Locate a current map and list of utility restrictions here. HCA recently published a helpful report about Hill Country Groundwater. This is a very easy to read and comprehensive guide to groundwater science, management and policy. A printable 11×17 PDF can be downloaded here, or view an online version here. Groundwater districts have been working together to plan for how to manage the resource in times of severe drought and they have set goals for how much drawdown they believe the region can bare. This is a highly debated process and the 30 foot drawdown goal that has been approved by GMA 9 is still considered by many to be unsustainable. Learn more here. The Hill Country and all of Central Texas also experienced a severe drought between 2007 and 2009, which highlighted the challenges we face in regard to managing our water supply. 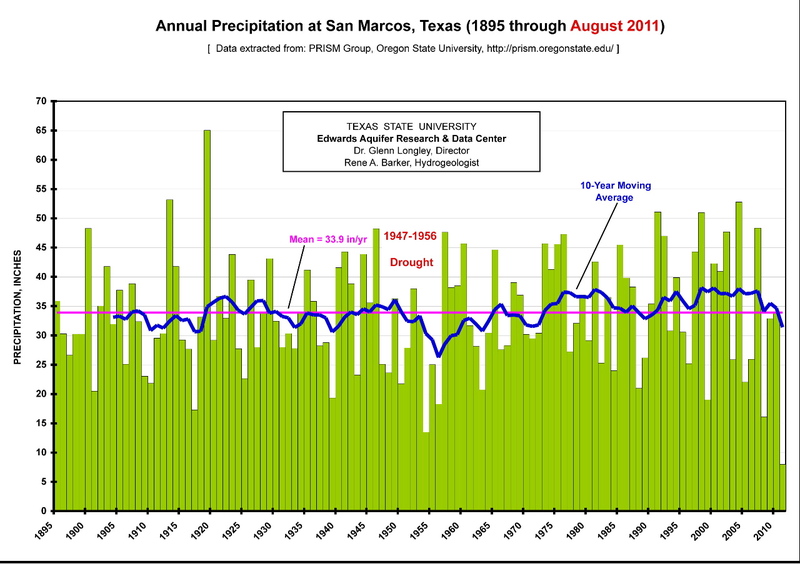 Pressure from our rapidly growing population has substantially increased demand for water, and our location in a climate border region (between drier areas in West Texas and the wetter regions to the East) means that the Hill Country has a naturally variable climate that includes droughts and floods. Future droughts are a virtual certainty, and rapid growth makes it even more important that we do a good job managing the limited water supply we have. During a drought, less rainfall is available to bolster supplies and meet human needs. Through water conservation measures, such as limiting outdoor watering, we can reduce demand and preserve existing supplies. This helps to ensure that adequate water is available through the full course of a drought. To maximize success, all water users must participate. Texas public water utilities are required by law to file drought contingency plans with the Texas Commission on Environmental Quality, which lay out trigger points for reducing demand through restrictions on water use. Groundwater conservation districts (GCDs) address drought management through their district management plans. Links to Hill Country drought contingency plans and information from TCEQ can be found below. How Severe Was the 2007-09 Drought?